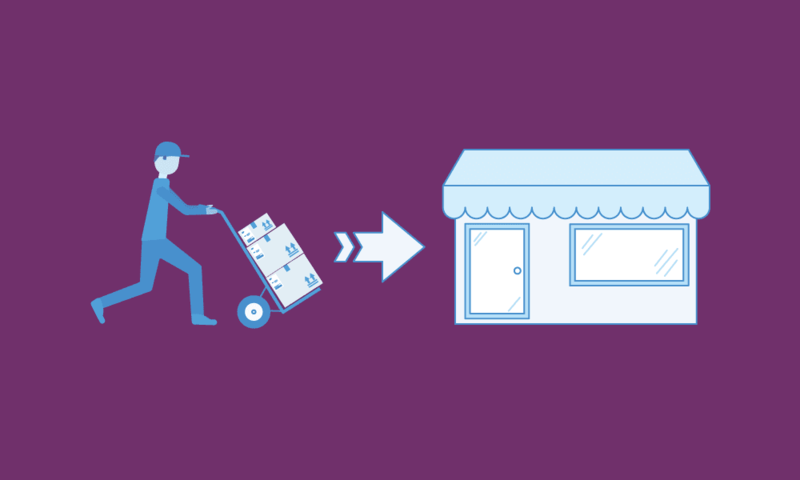 There are a variety of ways to get products from a supplier’s warehouse to a retailer’s store. A popular model is to have products delivered to a distribution center, and then ship the items to individual stores from there. However, when you’re not quite big enough to warrant a distribution center or the distribution model for a specific product wouldn’t make sense for shipping through a warehouse, the direct-to-store delivery model is in order. That’s where the Delivery/Return Base Record (EDI document 894) comes in handy as one of the methods of supporting Direct Store Delivery (DSD) fulfillment. As part of the DSD process, suppliers visit each store location in varying cadences as defined between them and the retailer location, traditionally at least once a week, in many cases more often than that. The supplier looks over the shelf stock levels and backroom inventory to determine and remove obsolete or expired products and replenish the inventory, streamlining the order-to-delivery cycle of products. It should be noted that retail locations providing Point of Sale details will allow the suppliers to ensure they have the inventory to meet the store product demand and replenishment for these deliveries. This model is heavily supported in the Food/Beverage/Consumable product lines. What is the Delivery/Return Base Record? For some supplier/retailer relationships, the DSD model is supported by the Direct Exchange (DEX) data exchange model. However, an alternative is managed by the Network Exchange (NEX) model using the Delivery/Return Base Record 894 EDI document type. The Delivery/Return Base Record document is typically used by direct store delivery suppliers to send the details of a shipment made at the store, providing the document at the point of delivery. Also known as the Pre-delivery Invoice, the 894 EDI document is transmitted by the vendor to the retail store to convey details of a pending direct store delivery. After an EDI document 894 has been received by the store, typically either an EDI 997 Functional Acknowledgment or EDI 895 Delivery/Return Acknowledgment or Adjustment is sent back demonstrating that the Delivery/Return Base Record was successfully received and was either accepted, adjusted or rejected. The data is then passed to the Direct Store Delivery system and on for reconciliation and approval for payment. How is the EDI 894 used? The Delivery/Return Base Record can be used in many similar ways as the Advanced Shipment Notification (ASN), or EDI document 856 and as an invoice or EDI document 810 or 880. The ASN also provides detailed information about a pending delivery of goods, except it’s sent before the shipment is delivered. When using the 894 as an ASN, notifying the retailer that the shipment is on the way to the store is just the beginning. In addition to providing details on when the order was shipped, what items are being shipped, and how many of each item. The EDI 894 includes features of the shipment such as its weight, mode of transportation and information about the carrier. Thus, supporting the creation of receiving documentation at the store level. When using the 894 as an invoice, the data exchange supports resolving any totals discrepancies in pricing or promotions and product exchange details. When the 894 is used at the point of delivery, the Supplier and Store personnel confirm products delivered and approves the delivery. The supplier representative transmits the 894 data which will include signature authorization. With that in mind, the Delivery/Return Base Record can be used as a reference document in the purchase order-to-invoice reconciliation process. This three-way matching system compares the original purchase order to the invoice, and the invoice to whatever documents were used in confirmation of delivery. Though the use of the EDI 894 isn’t widespread at this point, the retailers that require it expect the transmission to be sent as soon as possible even within 4 hours of the delivery of the goods. With that type of turnaround, EDI integration can help vendors meet their retailers’ needs. Contact an SPS Commerce EDI expert to learn how our Fulfillment EDI solution and time-tested onboarding process can bring you into compliance with just one of your trading partners in a matter of days or weeks, and all of your trading partners in about three months or less.